We are a leading Manufacturer of disc plough square beam, tandem heavy duty hydraulic disc harrow, poly disc harrow plough, disc plough round type, disc plough square bean and disc plough automatic from Jaipur, India. 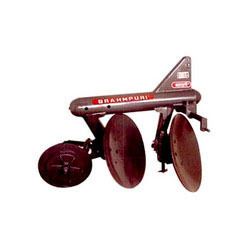 The BRAHMPURI Square Bean DISC PLOUGH is designed to work in all types of soil for basic functions such as soil breaking, soil raising, soil turning and soil mixing. It is used to open the new fields and to process the stony areas. it can be used easily at rocky and rooted areas. It is especially useful in hard and dry trashy land conditions and in soils where scouring is a major problem. In conformity with the soil conditions it is being produced with 2-3-4-5 and 6 Disc (Bottom) version with an option for extra kit for converting it to extra disc plough. It is directly mounted to the tractors. The extra heavy-duty seamless tubing frame has high trash clearance allowing the plough to operate under heavy crop residue. LAND WHEEL WITH BRACKET ETC. FRAME SEAMLESS PIPE OF OD 168mm & ID 148mm. 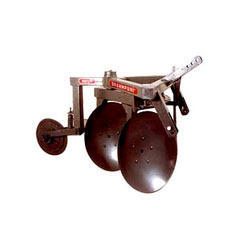 We are considered to be one of the most professional manufacturers, exporters, suppliers and distributors of Plough Disc. These are in vast demand for their supreme quality, rugged design and long term functionality. We make use of the optimum quality components for designing these discs. Our offered are widely used in hard and dry trashy, stumply land conditions and in soils where scouring is a major problem. 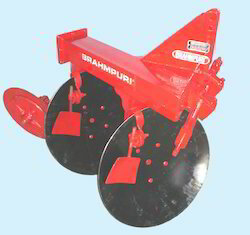 Our range of Plough Disc is offered to the clients in different specifications as per the requirements of the clients. 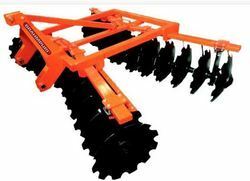 Backed with expertise and knowledge in this domain, we are counted amongst the foremost manufacturers, suppliers and exporters of 4 Disc Plough. We make use of best raw materials at hand which are processed in fully automated machines and manned by aced labor to give you the world best quality. We are known for offering superior performance, rugged designs and corrosion resistant nature range. We make these as per industryâ€™s rules and regulation and our range is acclaimed at international level. 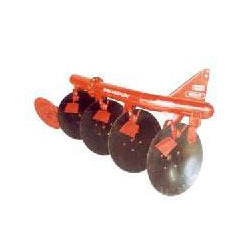 Our assortment of 4 Disc Plough is available in specific customizations. Our collection of 4 Disc Plough is available in industry's standard specification. These are fabricated using fine quality metals and are appreciated by our clients all across the world for their durability and long lasting. Apart from that, we also provide customization on our range of product. Being fully mounted and comparatively lighter in weight results lighter draft as compared to equivalent trailed plough where more power is required to operate and consequently higher operating costs. We are considered to be one of the most professional manufacturers, exporters, suppliers and distributors of Plough Disc. These are in vast demand for their supreme quality, rugged design and long term functionality. We make use of the optimum quality components for designing these discs. Our offered are widely used in hard and dry trashy, stumpy land conditions and in soils where scouring is a major problem. 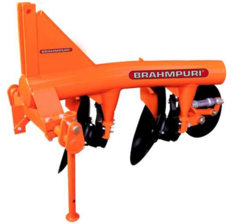 The BRAHMPURI Automatic DISC PLOUGH is designed to work in all types of soil for basic functions such as soil breaking, soil raising, soil turning and soil mixing. It is used to open the new farm and to process the stony areas. In conformity with the soil conditions it is being produced with 2-3 & 4 version with an option for extra kit for converting it to extra disc plough. With thorough understanding of the relevant industry, we are offering a wide range of Disc Plough that can be directly mounted to the tractors. This product is useful for cultivation of hard and dry land where scouring is a major problem. This plough is manufactured using optimum quality raw materials and advanced technology. In tune with different requirements of our copious clients, we customize this plough in various sizes and shapes. Our offered plough has gained exceptional value amongst our clients for its defined features.